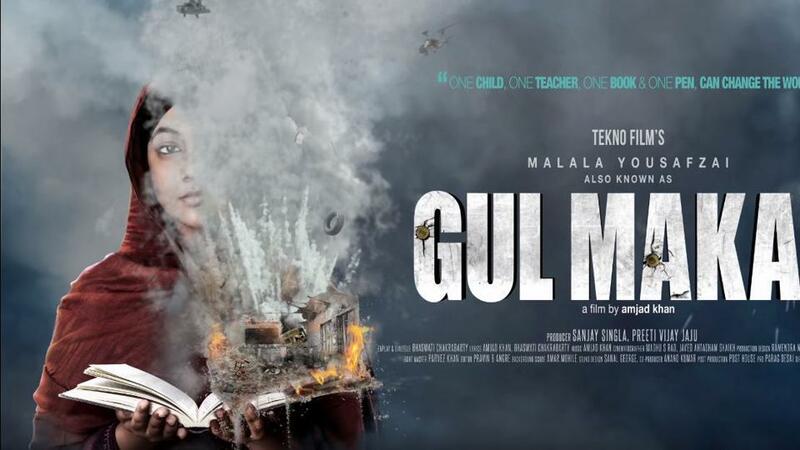 LONDON: The first motion poster of ‘Gul Makai’, a biopic based on Malala Yousafzai, was unveiled on Tuesday evening and it gives us a glimpse of the fire that she fought against. Gul Makai is the pseudonym Malala used while writing blogs for BBC Urdu when Talibans held Swat valley back in 2009. Gul Makai stars Reem Shaikh as Malala, Shaikh, who previously starred in Amitabh Bachchan’s Wazir, has also been seen in TV dramas like ‘Ye Rishta Kya Kehlata Hai.’ She is joined by Divya Dutta (who plays her mother) and the late Om Puri in the film’s cast. Gul Makai is being produced by Anand Kumar and directed by Amjad Khan. Its release date is not yet known.